(This is a one day class on March 24th). 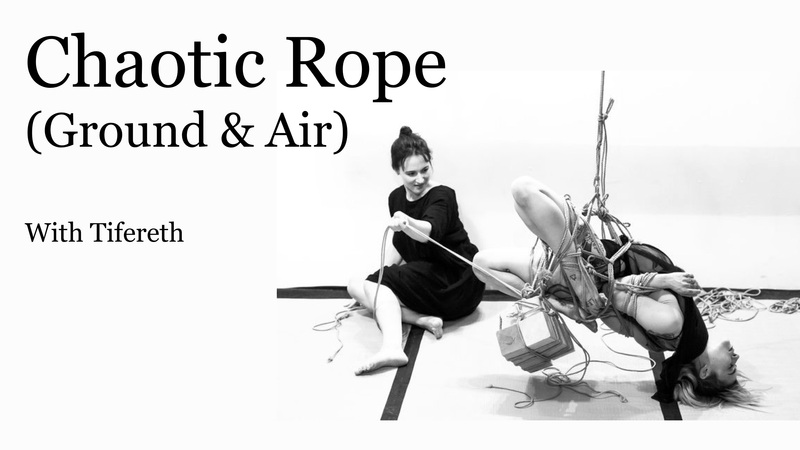 In this single day workshop we will embrace the beauty of messy rope. Exploring the potential of very unstructured ties first on the ground we will dive into tension management, fixing problems down the line, and containing the figure. From there, we will explore through partial and full suspension two methodologies of safely creating chaos- first by imposing order on an existing chaotic system, and finally by allowing ordered ties to disintegrate into controlled chaos in the air. We’ll also talk line management, emergency procedures for when the mess gets out of hand, and getting out of corners we’ve tied ourselves into. Bottoms will learn strategies for identifying issues in advance, as well as sensation management techniques for sustaining unusual positions. When does it take place? This is workshop takes place Sunday March 24th (1-7pm).